For the village in Vâlcea County, see Zătreni. Ciortești is a commune in Iași County, Romania. It is composed of five villages: Ciortești, Coropceni, Deleni, Rotăria and Șerbești. 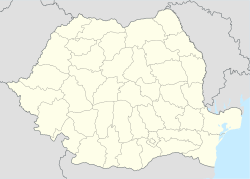 This Iași County location article is a stub. You can help Wikipedia by expanding it. This page was last edited on 3 January 2018, at 20:16 (UTC).